Everyone faces challenges and obstacles in different areas of their life from time to time, but rather than going off track, the Consultant Psychology Group (CPG) can help you stay the true course. CPG is a locally owned and run psychology practice with several qualified and exerperienced psychologists to support you in a range of capacities. 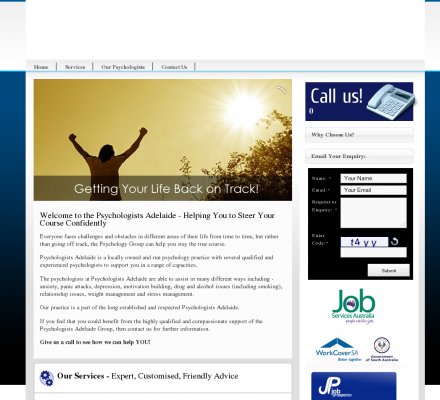 Description: Everyone faces challenges and obstacles in different areas of their life from time to time, but rather than going off track, the Consultant Psychology Group (CPG) can help you stay the true course.